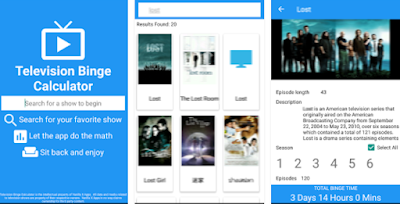 What is Television Binge Calculator? Television Binge Calculator allows you not to just figure out how much time you spends binge watching, say, over a weekend, but rather over your entire life. It does this by calculating the running time of your favorite shows, from "House of Cards" to "Sports Center," and adding the collective time of each via the amount of seasons.